Australia’s major energy retailers have pinned rising energy costs on a shortage of natural gas and the closure of coal power plants – but not everyone agrees with the assertion. Glencore PLC, a multinational mining company, has called for the government to reconsider its clean energy targets, claiming they are behind skyrocketing energy prices and are threatening the future of heavy industries. “Unless something happens quickly those businesses will shut. We’re going nowhere with emissions reductions, we’re just putting the Australian economy at risk,” said Glencore local executive Peter Fryberg. Bruce Robertson of the Institute for Energy Economics and Financial Analysis, believes Australia is in the grip of a ‘gas cartel’. “We are swimming in gas, the idea that we cannot provide for our own population is just a total failure of our energy policy,” he said. 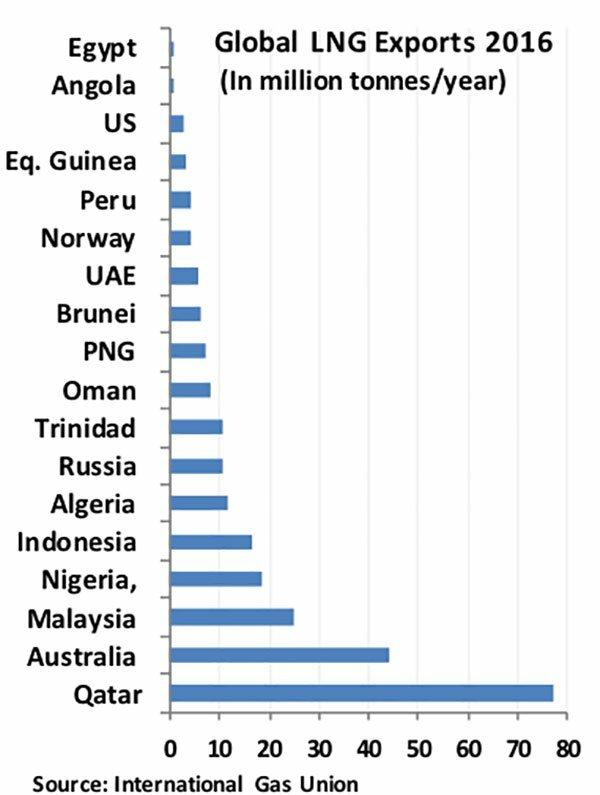 Robertson’s comments would seem to be supported by the global LNG export numbers for 2016 as shown below. Robertson believes that private ownership of eastern gas pipelines had led to recent price hikes. “We have given away the ability to control the price – it’s killing the Australian domestic economy,” he said. Robertson expanded further, noting that current pipeline owners – Santos, Exxon, BHP, Origin, Arrow Energy and Shell – were sitting on plentiful reserves. 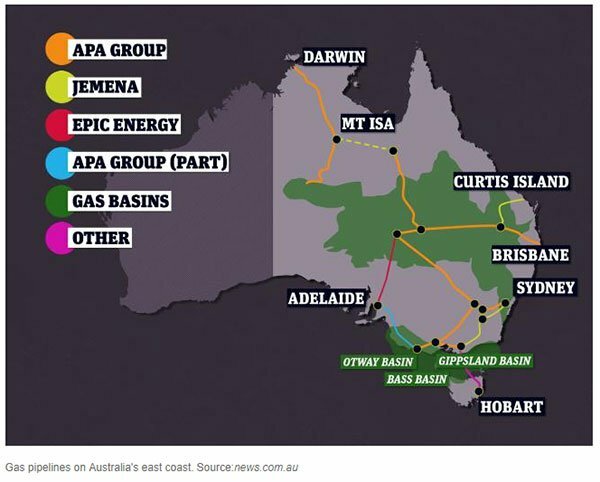 “The Australian gas cartel is restricting supply to the domestic market in order to force up the price,” he said. Rising costs could not have come at a worse time, with households and businesses bracing for the infamous winter bill. EnergyAustralia recently released its projected winter bill prices for the states of NSW, Victoria and South Australia, which can be seen below. “The rises are bad news for families and businesses and absolutely not what they wanted to hear,” EnergyAustralia’s Kim Clarke said. Mark Morey is just one of many residents in his area to feel the recent pinch. Despite reducing the temperature in his home and using gas heating sparingly, the Canberra resident saw his gas bill rise from $1,212 in 2012 to $2,005 last October. He believes his gas bill would have exceeded $2,300 this winter had he not installed a wood fire heater. “In just five years the price of gas has more than doubled,” he said. Earlier this year, South Australian recycling business Plastic Granulating closed down its plant after its monthly electricity bill increased from $80,000 to $180,000. The Australian Government ramped up its efforts to curtail retailers on August 2, with Prime Minister Malcolm Turnbull summoning chief energy executives to Canberra via letter. “Since families are feeling price pressures now, it’s important to ensure no family pays a cent more for electricity than it needs to,” he wrote. Turnbull threatened to impose regulations if industry chiefs didn’t reduce prices, adding that more needed to be done about the lack of transparency around different retailers and better deals. He cited a recent Australian Energy Market Commission (AEMC) report, which found that 47 per cent of households and 54 per cent of small businesses had not switched to a new plan or retailer in the past five years. “This suggests that these households and businesses are paying significantly more than they need to,” he said. It’s been a consistent message from Turnbull, who warned that price rises were to be expected earlier this year. “This isn’t an abstract issue. Higher electricity prices mean more pressure on household budgets and businesses,” the Prime Minister said on February 1 this year. 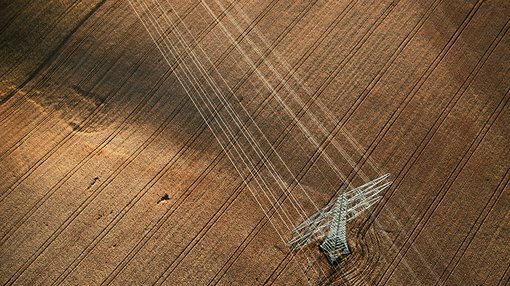 Whether the Australian government can rein in energy retailers remains to be seen. Is ramping up production the short term answer? The recent $2 billion expansion of the Snowy Mountains hydro scheme is a step in the right direction and will power an additional 500,000 homes upon its completion, but achieving total energy production renewables will take some time. In the short term, there’s still plenty of gas to be found. The Cooper Basin, which is situated in south west Queensland, is one of Australia’s premiere natural gas resources. It provides a unique opportunity for fresh exploration projects that could facilitate new pipelines and supply for the east coast which could soften the effects of rising energy prices, regardless of their causes.